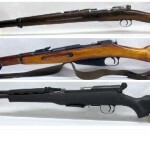 Ward's Auctions in Edmonton, Canada, is hosting a firearms auction on February 8. This auction features more than 400 lots including antique and modern weaponry. Those unable to attend the live auction in person are able to place absentee bids online at iCollector.com. Ruger single-action revolvers are known for their attractive design and reliable craftsmanship. It is the only company to produce a full line of American firearms, with a catalog of 30 product lines containing some 400 variations. Since 1949, Ruger has grown to be one of the most influential commercial producers of sport firearms. This auction includes a nice selection of Ruger revolvers, such as a .22-caliber New Bearcat (lot #52). This single-action revolver is made of stainless steel and features an engraved cylinder and wooden grips. It is in excellent condition and is offered with its original case. 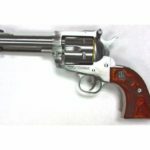 This gun can be found alongside a new model Flat Top Blackhawk .44-caliber six-shot revolver (lot #54). This specimen is in excellent condition and is made of sleek blued steel. Known as "the gun that won the West," the Winchester rifle is an American icon. Since the mid-19th century, these firearms have captivated collectors and enthusiasts looking to own a piece of history. Bidders at this auction will have an opportunity to go home with an antique Winchester model 1890 .22-short-caliber pump-action rifle (lot #61). This beautiful piece dates to ​about 1910 and is still in fantastic condition for a gun that is more than 100 years old. Also available is a model 94 .30-30-caliber lever-action saddle ring carbine (lot #59) as well as a unique model 94 Canadian Pacific Centennial commemorative rifle (lot #60). This weapon was issued to a second-generation train conductor on the Canadian Pacific line and has remained in the family until now. Perhaps the most unique pieces to hit the block are three antique flintlock pistols. 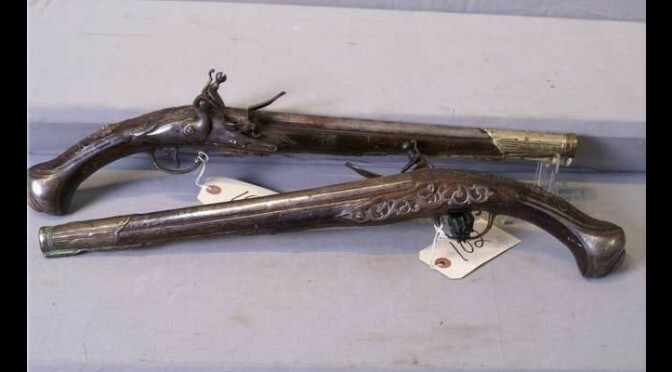 Two of them are a pair of French horsemans pistols dating back to 1730 – 1760 (lot #102). These two beautiful antique pieces are in excellent condition and are quite large, each measuring 20 inches in length. 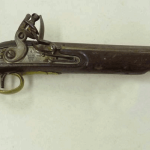 The other lot is an 1836 model American military flintlock dated 1938 (lot #103). From the Mexican War period, this antique is still in working condition despite a slight age crack on the left side. 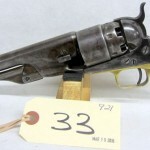 For a complete listing of all the lots available including firearms, sabers, pocket watches and more, visit iCollector.com.